Understanding just how the Law of Attraction is a fundamental key to your success. If you want to change your life, and empower yourself to create an amazing future, then you need to understand your role in the Law of Attraction. The Law of Attraction allows for infinite possibilities, infinite abundance, and infinite joy. It knows no order of difficulty, and it can change your life in every way. In order to really understand how the Law of Attraction works in your life, we need to look at a few things. 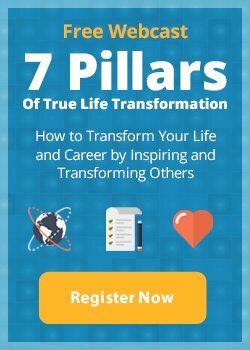 I will explain the Law of Attraction, how to master it in your life to attract success in many areas, a meditation technique, and some tips for abundance. Let’s start at the beginning. Learn how to use the Law of Attraction from my FREE guide. Click here to get it. Simply put, the Law of Attraction says that you will attract into your life whatever you focus on. Whatever you give your energy and attention to will come back to you. So, if you stay focused on the good and positive things in your life, you will automatically attract more good and positive things into your life. If you are focused upon lack and negativity, then that is what will be attracted into your life. Like attracts like. If you are feeling excited, enthusiastic, passionate, happy, joyful, appreciative, or abundant, then you are sending out positive energy. On the other hand, if you are feeling bored, anxious, stressed out, angry, resentful, or sad, you are sending out negative energy. The universe, through the Law of Attraction, will respond enthusiastically to both of these vibrations. It doesn’t decide which one is better for you, it just responds to whatever energy you are creating, and it gives you more of the same. You get back exactly what you put out there. Whatever you are thinking and feeling at any given time is basically your request to the universe for more of the same. Because your energy vibrations will attract energy back to you of the same frequencies, you need to make sure that you are continually sending out energy, thoughts, and feelings that resonate with what you want to be, do, and experience. Your energy frequencies need to be in tune with what you want to attract in your life. If joy and love are what you want to attract, then the vibrational frequencies of joy and love are what you want to create. Once you understand the Law of Attraction, and how it works, you can begin to consciously and intentionally create a better life. You can choose to respond differently to the situations that arise during your day. You can choose to think differently. You can choose to focus and think about the things you want more of in your life. You can choose to experience more of the things that make you feel good. You can choose to deliberately participate in the creation of your future by managing your thoughts and feelings. Using the Law of Attraction is a three-step process: ask, believe and receive. Let’s go into detail on each aspect. Every day, you send out requests to the universe—as well as to your subconscious mind—in the form of thoughts: literally, what you think about, read about, talk about, and give your attention to. Unfortunately, what we give our attention to is often random and not deliberate, you simply respond to situations. Because the Law of Attraction states that you’ll attract into your life whatever you give your energy, focus, and attention to—wanted or unwanted. You must become more deliberate about what you think and feel. To become more intentional about the thoughts you offer the universe, you’ll need to decide what you want—but also practice feeling those emotions you’ll experience when you have it. Perhaps you want to change career, move to another state, win a major professional award, have your own TV show, or recover from a major illness. How would you feel once you’ve “arrived” at your goal? What would you be doing throughout your day? Who would you be spending time with? The more you focus on and talk about what you DO want (instead of what you don’t want), the faster you will manifest your dreams and goals. What does it mean to believe you’ll get what you want? It means maintaining a positive expectancy, going about your day with certainty— knowing that you’ve put your future in the hands of powers that are greater than yours. It’s deciding with conviction that what you want will absolutely happen. This is not always easy. Once you believe that you’ll get what you want, the second part of the equation is to take action. Taking the actions that would create your desired result affirms your belief that what you want is within reach. In order to receive that which you are intending, you must become a “vibrational match” for what you want to attract into your life. As with everything, this takes time and practice. However, the more you put a conscious effort into attracting what you want, and following these steps, the easier it will become. You can begin to expect miracles. If you want to create financial abundance in your life, then start by focusing on prosperity and money flowing into your life. Envision the checks coming in the mail. Write yourself a check for the sum of money you wish to manifest this year, and post it in a visible location. Every time you see it, believe that it is possible. Remember to take a moment to be thankful for everything that you already have. By doing this, you are creating a vibrational match for the financial abundance that you want to attract into your future life. If you want to create an abundance of love in your life, then focus on love. Be the love you want to attract. Become more loving and generous with others and with yourself. By creating the vibration of love, you will automatically draw more love into your life. Focus on whatever it is that you want to create more of in your life, and remember to be grateful for that which you already have. Gratitude itself is a form of abundance, and the vibrational frequency of gratitude and appreciation will automatically attract even more to be grateful for. Take time each day to step away from the clutter and the noise. A daily commitment to spend time in this still, quiet place is a commitment to clarity and inner peace. You can learn how to meditate in many different ways, but in general, they consist of simply being still and quiet for a period of time and focusing your attention on either your breath or a mantra of some sort. If you are new to the practice of meditation—your thoughts will drift, and your mind will wander at first. Remember not to be hard on yourself when this happens. This is just part of learning how to meditate. If you have never meditated before, here’s a simple structure of exercises you can use to begin. Find a quiet place, close your eyes, and focus on slowing down your breathing. Repeat an uplifting word or phrase. Move into a state of quiet. Imagine yourself surrounded by a sphere of light. The regular practice of meditation will help clear your mind of distractions, cleanse your thoughts, and enhance your spiritual connection. It renews the spirit, relaxes the body, and calms the soul. The Law of Attraction states that you will attract into your life whatever you focus on. There are thousands of stories of people using it to achieve success, miracles, and things that they never though possible. My mentor was a man named W. Clement Stone, who was worth $600 million when I worked for him. I decided that that goal was to make $100,000 that year. I created an image of a $100,000 dollar bill and hung it on the ceiling above my bed. Every morning I’d see the image. I’d visualize what it would be like to have $100,000. Everything I did was to achieve that goal. At the end of the year, I had made $97,000. This would never have been possible without the Law of Attraction, these visualization techniques and meditation. I have since gone beyond that goal by using The Law of Attraction, in my life. Throughout history, the greatest minds and spiritual teachers and leaders have been pointing to this simple truth. These people knew the power that our thoughts have over our lives. Here are 10 Law of Attraction quotes for some added inspiration. Now that you understand a little bit more about how you participate in the process of the Law of Attraction, you can begin to take responsibility for everything that you are currently in the process of attracting into your life. Now that you are aware of the role you play in creating your life, you can no longer create your future accidentally or by default! Take this to heart, because this is your moment, your time to begin consciously, intentionally, and deliberately participating in the creation of the future you desire. Your thoughts are powerful. They are real, they are measurable, they are energy. Every single thought you have is a statement of your desires to the universe. The thoughts you think today, feelings you feel today, and actions you take today will determine your experiences tomorrow. So it is imperative that you learn to think and behave in a positive way that is in alignment with what you ultimately want to be, do, and experience in life. Don’t censor your dreams or vision with practicalities and probabilities. You don’t need to know every single step that it will take to achieve your goals. Just decide what you want. Know that you deserve it. Believe you can have it, then release it, and let it go. Open yourself up to infinite possibilities. Watch for the signs. Watch the miracles unfold. Now, consider this possibility—if you can figure it all out on your own, then your dream may not be big enough! Affirmations simply affirm your positive beliefs about yourself and about life. Every thought you think and every word you say is an affirmation. Your thoughts and words are declarations of who you think you are and how you perceive the world to be. Strong, positive affirmations are powerful means of self-transformation and they are a key element in the creation of the life you desire. They work by purposely replacing the limiting ideas, negative beliefs, and self-talk that you have taken on and internalized over the years with positive statements that assert who you want to be and how you want to experience life. There are no limits on your dreams and goals. The whole world is out there just waiting for you. This is an inspirational technique that you might want to try as well. A great process for clarifying some of your more long-term life goals and dreams is to make a list of 101 goals that you would like to accomplish before you die—101 things you would like to do, be, or have. I wrote my life goals list in 1989 and you can read my personal life goals list for inspiration. Having a daily vision board practice will keep your mind focused on your goals. You can learn how to use a vision board here. Start by opening your mind and your heart. Strive to become more aware of the amazing synchronicity that already exists in your life. Sweep away any lingering negative thoughts or emotions. Sweep away any doubt. And then take actions each and every day that will move you toward your purpose and the fulfillment of your dreams. The Law of Attraction allows for infinite possibilities, infinite abundance, and infinite joy. It knows no order of difficulty, and it can change your life in every way if you let it. Download my free guide to learn more!